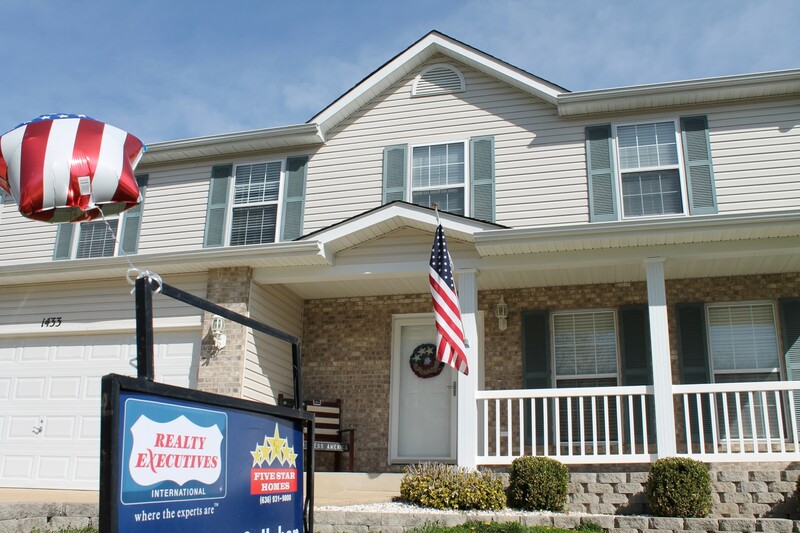 Realty Executives Five Star Homes in Festus, Missouri recently welcomed home United States Army Veteran, Chad Hembree and his growing family, to their new home. 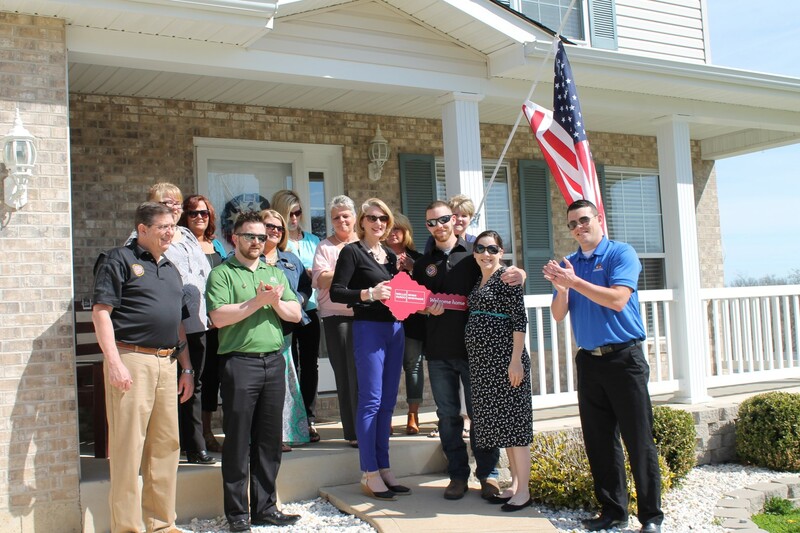 Together with Wells Fargo and the Military Warriors Support Foundation (MWSF), Broker/Owner Cindy Callahan and her team of Executives played an important role in providing a new home for the Hembree family. In October 2014, Wells Fargo contacted Realty Executives Five Star Homes to coordinate and ready a home in Northwood’s Subdivision, Festus, for the veteran. Wells Fargo has pledged to donate 30 million dollars to support returning service members and veterans through the end of 2015. To meet their goal, Wells Fargo partnered with MWSF and Operation Homefront, organizations dedicated to enhancing the lives of returning combat-wounded veterans by providing transition assistance, financial literacy and homeowner education courses. The home was donated to MWSF who in turn donated the property, mortgage free, to the Hembree family. Realty Executives Five Star Homes readied the home by coordinating new carpet and flooring, a new roof, all new appliances, fresh paint, new deck, and other needed repairs. 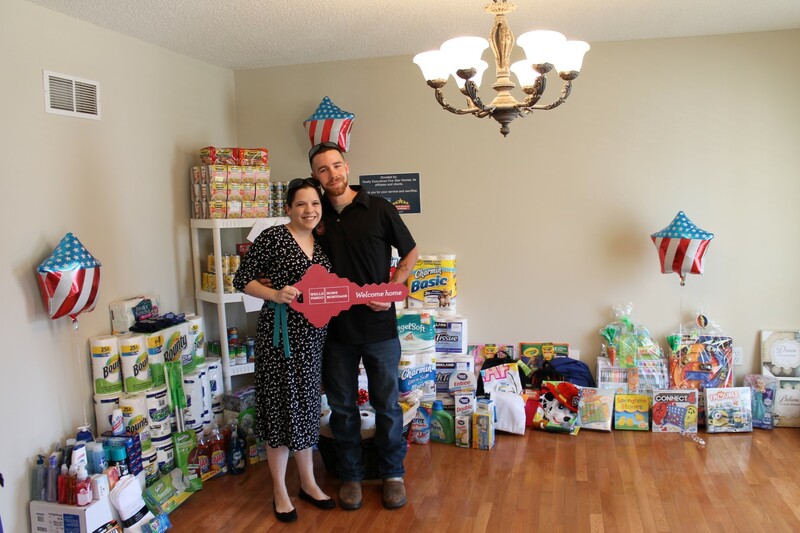 Many partner affiliates and clients answered Realty Executives Five Star Homes’ call to “fill the pantry.” The team collected paper goods, cleaning supplies, canned and dry goods along with some gifts for the children. An Americana bench and wreath for the front porch was also donated to the family by Realty Executives Broker/Owner Cindy Callahan, along with several gift cards. “It is an honor to be a part of the support for this family. A simple ‘thank you’ does not seem enough for all the service men and women who defend our country every day do for us. May you find peace and we welcome you home to Festus with open arms,” Cindy Callahan said. An official Key Ceremony was held on April 1st, 2015, to turn over the keys to Chad and his wife Katherine, who have two young children and are expecting a baby in May.